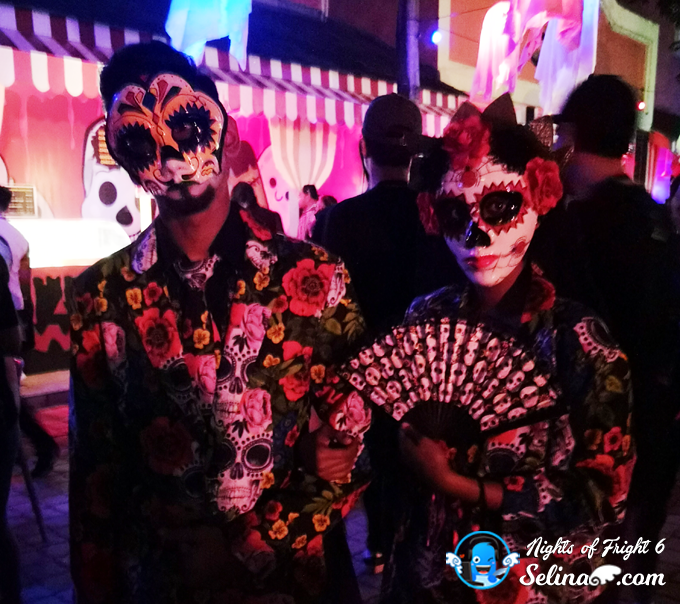 Malaysia’s Nights of Fright 6 returns this September! It’s very HORROR because they are back to haunt you during the Halloween season! 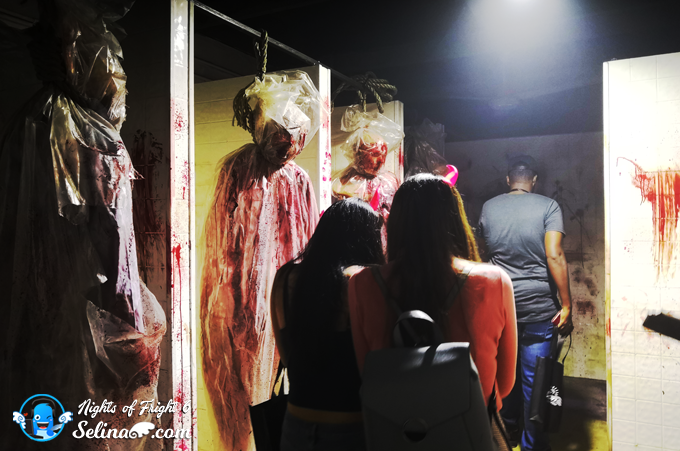 Join and Play to FACE the monsters and zombies or ghost spirits on every Friday, Saturday and Sunday this 28th September – 31st October 2018, from 7.30pm to 11.30pm. 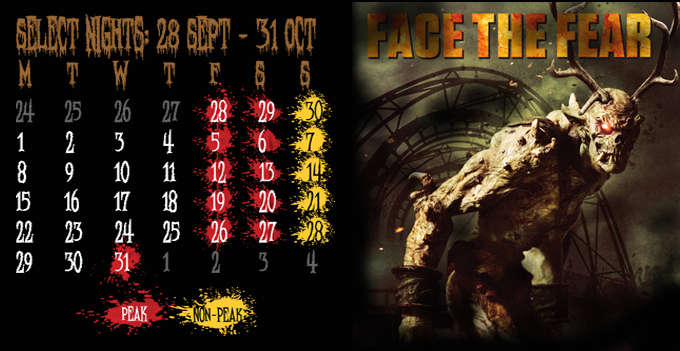 Today, it's time for you to FACE THE FEAR at Nights of Fright 6 on every weekends! I could say to you again... *If you are easily frightened, think twice before you enter! If you are hungry, you can buy the fast food or snacks from the booths. So beautiful of colorful ghosts are around our head! So cute. Oh my, many people are queuing so long to buy the food from the stalls. My youngest sister and I bought the water bottles only. There are 5 Haunted Attractions that you should be DARE to enter there! Tips: Don't walk behind your partner, ya! Because you are last, sure they will catch you! If not, you will have your nightmare dream when you want to sleep! Woww, there are more heavy fog around us! Aah! Zombies will haunt you when you don't see anything! 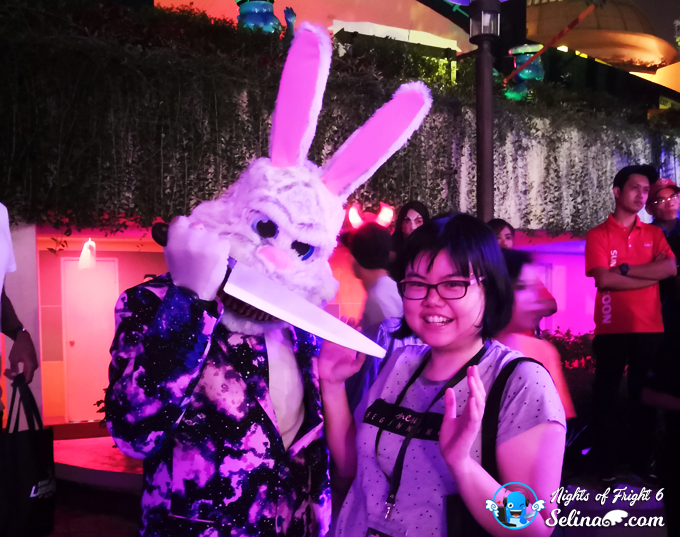 I surprised to see the "The Purge" characters who waited at the stairs at Sunway Lagoon! 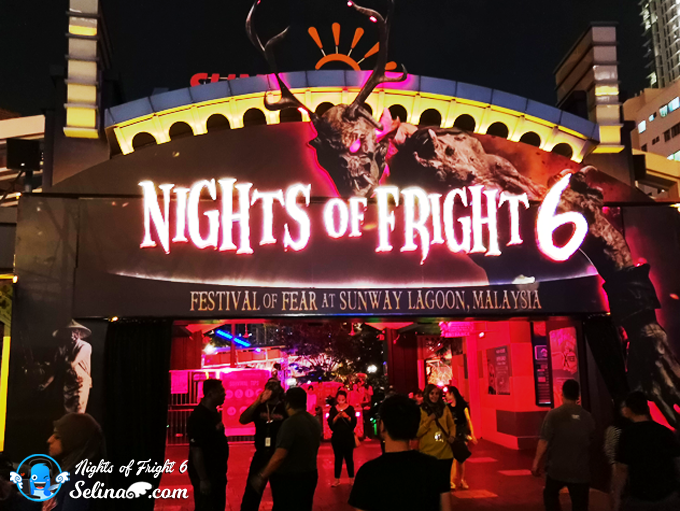 Better, you advised to buy RM 69 per person with free blood bag or devil's horn, then you can enjoy all attractions in the theme park of Nights of Fright 6! Ready to experience your frightening journey when you will walk into the hell! Sure, your heart keep to beat, beat... when you see a ghost! Death Couple are waiting for your death...They'll bring you go to the Hell! He is lonely but he attract you to play with him! Dare? 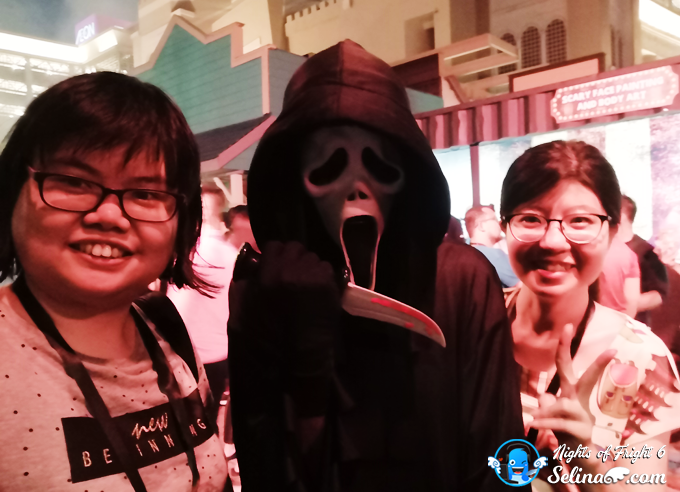 If you ask me about which is best from the horror attraction, I recommended that you better to experience "scary" Slaughter of House 13, and Ghost Face! Wow, my group members suddenly scream when they saw the dead people! They cry! 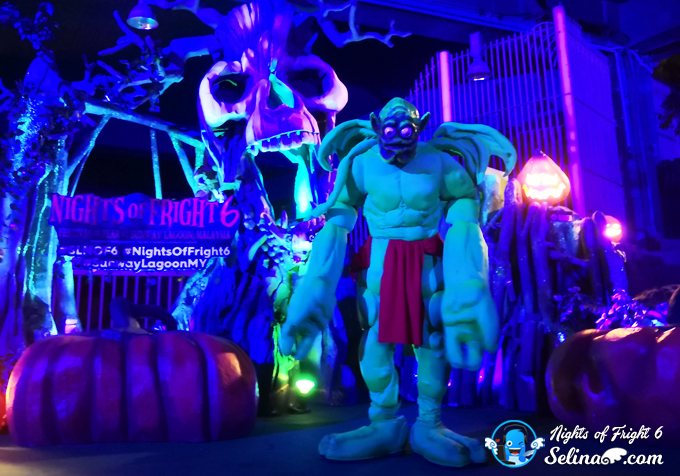 You Ready to ENTER this scary of Nights of Fright 6? Gather your friends to face them in Sunway Lagoon now! 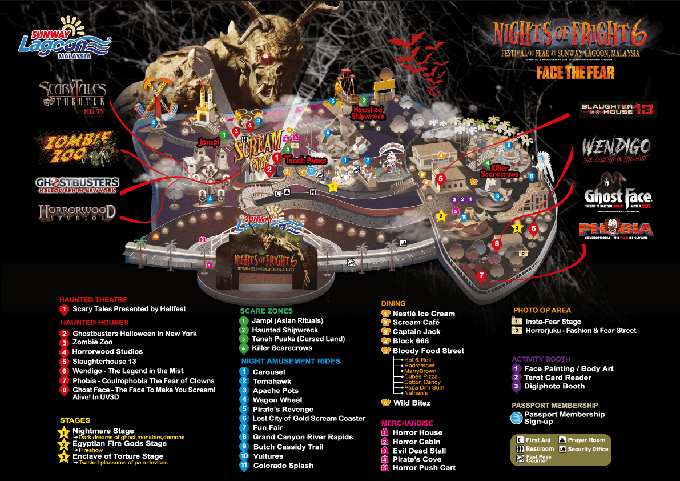 It make me recall about how I experience the Nights of Fright 5 with my youngest sister and friend on last year. Wow. 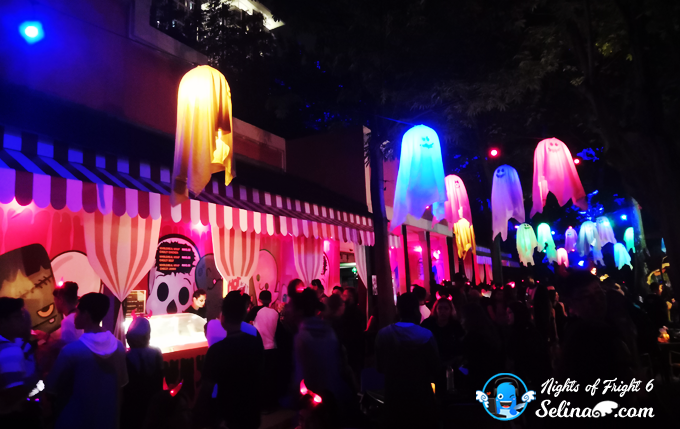 Many youngsters always scream and scared to face them when they walk around Sunway Lagoon! Please read my previous post - click link here.